CAE has secured more than $138.5 million in contracts during the first quarter of its 2018 fiscal year to provide aircraft simulation products, training services and in-service support to U.S. and international defense customers. Montreal-based CAE said Tuesday it received contracts from Lockheed Martin (NYSE: LMT), L3 Technologies‘ (NYSE: LLL) MAS subsidiary and Airbus Group‘s defense and space segment. 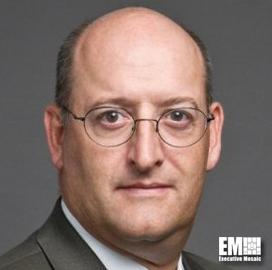 Gene Colabatistto, president of CAE’s defense and security group, said the orders supplement the long-term, recurring revenue profile of CAE’s defense business. Lockheed subcontracted CAE to build four KC-130J fuselage trainers for the U.S. Marine Corps and a range of simulation systems for the KC-130J FuTs. CAE also received a contract from Lockheed to aid the development of an HC/MC-130J enhanced fuselage trainer for the U.S. Air Force‘s Special Operations Command. L3 MAS ordered avionics software upgrades, integrated logistics and data management services from CAE to support the Canadian air force’s CF-18 aircraft. Airbus asked CAE to carry out training device upgrades and maintenance; hardware and software engineering; courseware updates; technology insertion and obsolescence management for the Canadian air force’s C295W fixed-wing search and rescue training program.